Hey guys! It’s been a while. I’ve been busy and enjoying the summer vacation last May that’s why I haven’t updated the blog since. 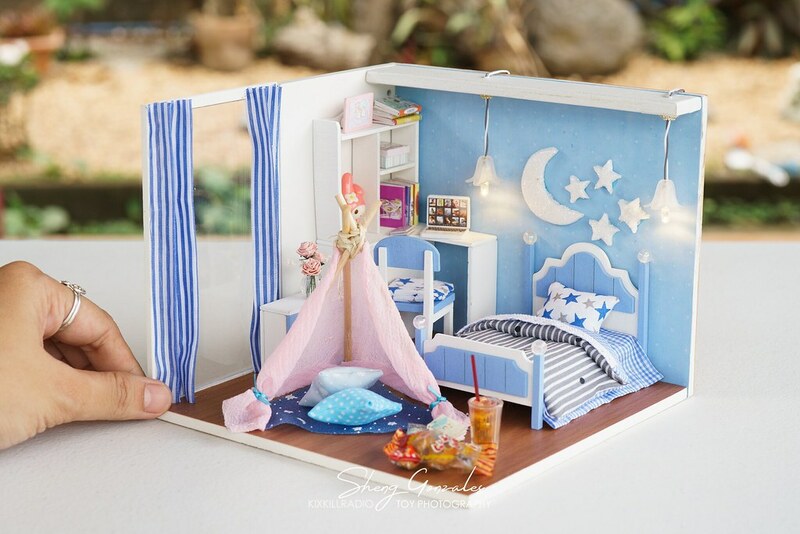 So today I am showing you the last miniature bedroom kit that I received from GearBest. 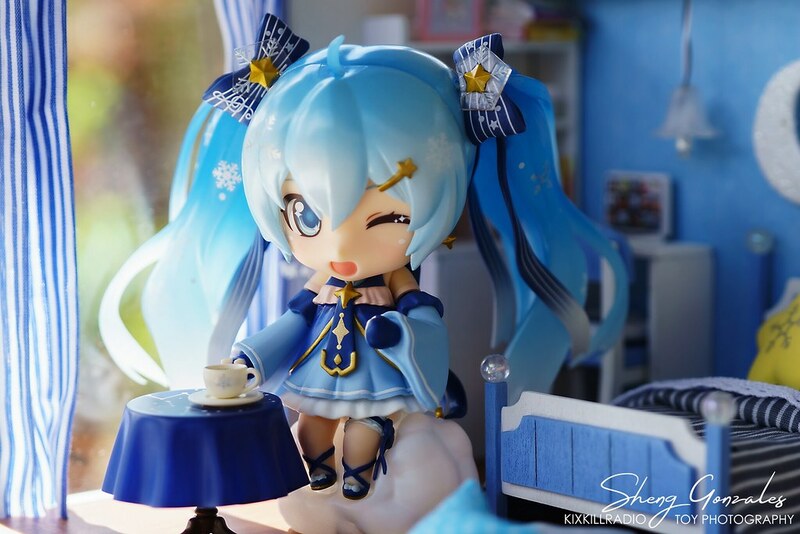 I re-designed the bedroom with Nendoroid Snow Miku 2017 in my mind. I like adding a personal touch to each dollhouse kits that I receive from the company, so make sure to watch the video below to see the changes I made! 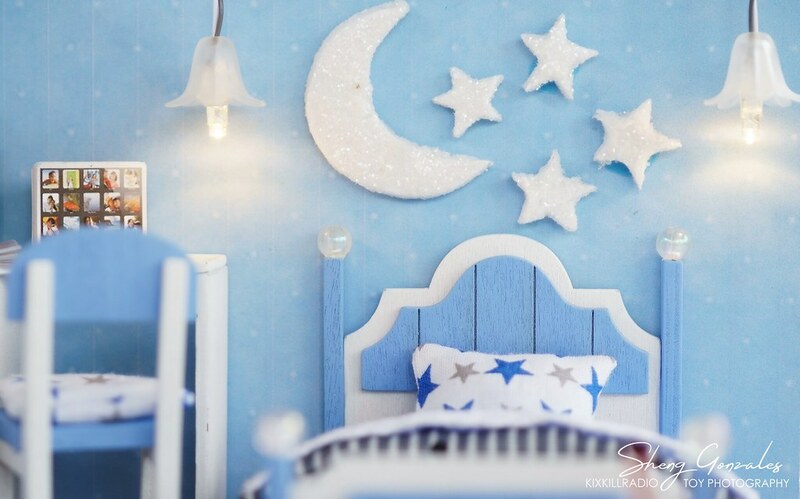 Whenever I think of Nendoroid Snow Miku Twinkle Ver, I think of moon and stars and so I made tiny decors for the room using sintra board and glitters. Good thing about having so many dollhouse kits, I can just borrow different miniature pieces from the old one and use it to the new ones. The tent makes the entire more visually appealing, however, it takes a lot of space so sometimes, I remove it especially when I am taking pictures of my figures. I love that the room is big enough to fit my Nendoroid Snow Miku inside it. Instead of the tent, you can place Snow Miku’s table for a breakfast treat. Yukine seems to find his perfect spot in the room. The tent is his to play. 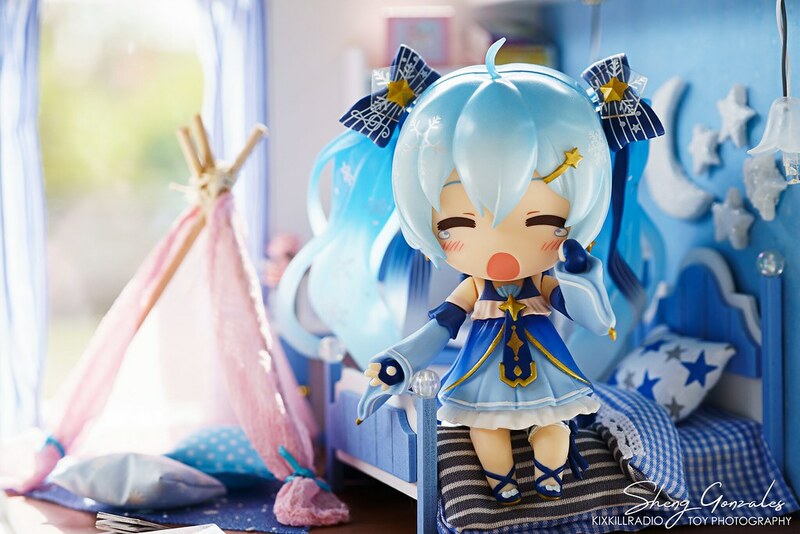 Overall, the size of the bedroom kit is recommended for Nendoroid. However, the bed seems a little small for them. 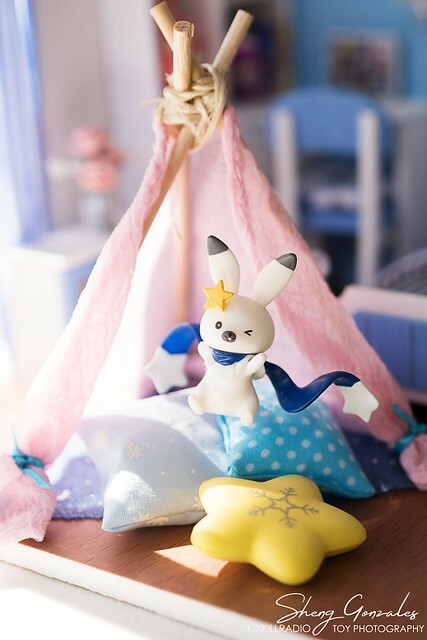 For photography purposes, I think this room is a great backdrop for your toy/figure. 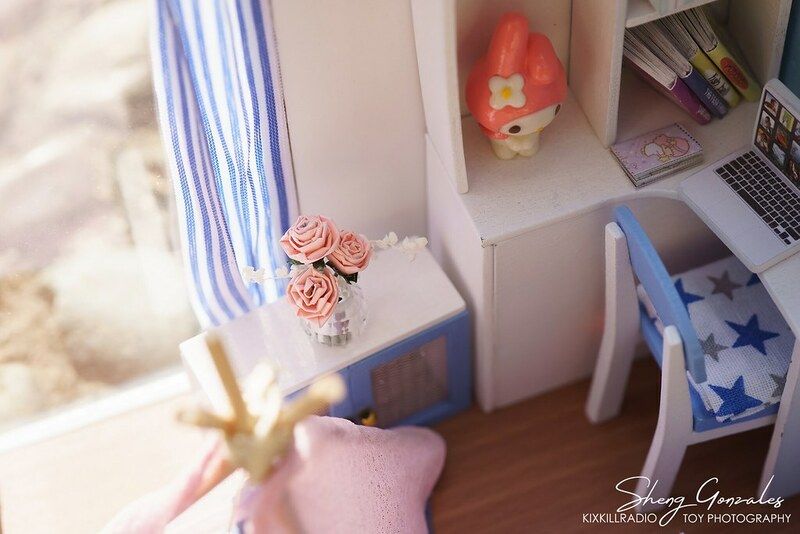 Ah, this tiny room is so cute (｡♥‿♥｡) and even has a light feature. 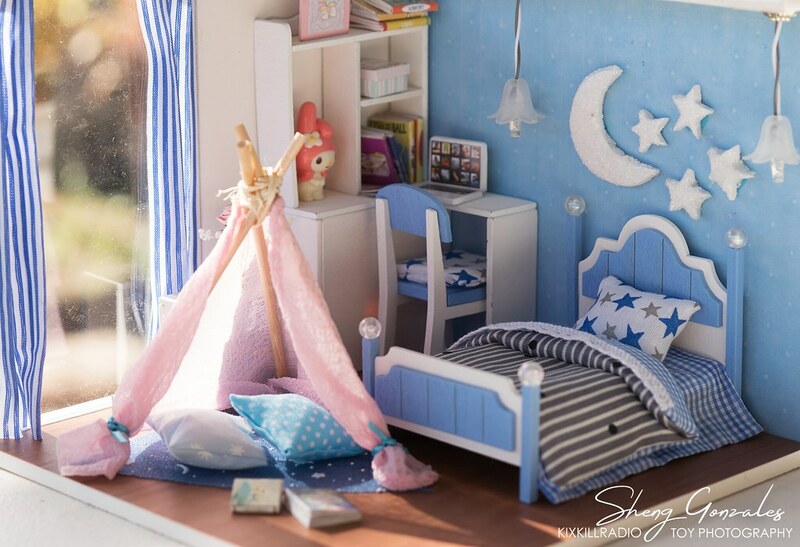 It is sweet how much work and love you’ve put into the room assembling and decoration. When looking at the pics it was totally worth the effort. The tent is a great addition to the setting. I always like the dollhouse to be different from the others. Thank you so much for checking my blog. I'm glad you also loved the music.